Well-known Christian author and apologist Lee Strobel once talked about a man he once knew named Bill McMillen. Bill was a successful financial consultant who never had a degree in theology and never worked on staff at a church. But Bill was radically saved by Jesus and used every opportunity he had to talk to others about his Savior. He went all-out every chance he got; Bill would go the proverbial “above and beyond” in all of his interactions with people to make the Gospel known, and often postponing the main topic of business meetings and instead shift the subject to the cross of Jesus Christ, much to the surprise of many. After Bill passed away from cancer, an open microphone was set up at his funeral service. Numerous folks in attendance stepped up and recounted their stories of how Bill was a pivotal influence in them coming to know the Lord, all gushing that if it weren’t God working through the tenacity of Bill’s actions, they would not being going to heaven when they die. Bill could have been known for many things: being a good husband, a dedicated father, and an astute businessman and financial guru who made a lot of money for people (and he certainly was all of these things). But at his memorial service, he was fondly remembered for sharing the name of Jesus Christ and making our Lord his main business in life. Bill’s method of spreading the Gospel was like that of baseball legend Babe Ruth’s approach to stepping up to the plate: never holding back, and swinging for the fences like a beast. Ruth had an “all or nothing” batting style and always went for the home run, and his ferocity and constancy paid off: he was the All-Time Home Run King on both the single season and career lists for many decades. Yet there is a dubious stat that Babe Ruth, a seven-time World Series champ, also held nearly a century ago: Strikeout King. Yep, when the always-swinging Ruth strolled up at bat, he was struck out by pitchers more times than anyone else for five years in a row. I think we often as modern-day Christians are more worried about “striking out” with folks about the Gospel by getting rejected or even ridiculed by them than we are about their eternal destinies. Guess what? That’s going to happen anyway! Many places in the New Testament state that we as Christ followers are going to be looked down upon by the world. Jesus proclaimed in John 15:18, “If the world hates you, know that it has hated Me before it hated you.” And the Apostle Paul wrote in 2 Timothy 3:12, “Indeed, all who desire to live a godly life in Christ Jesus will be persecuted.” Non-believers will get offended. They will hate you and the message of Jesus Christ. It’s par for the course in our daily Christian grind, and to try to avoid that is to simply not follow Jesus or His command to make disciples all around the world. We cannot let this rejection, ridicule or persecution deter us from spreading the love of Jesus and telling them of the Good News of His salvation. 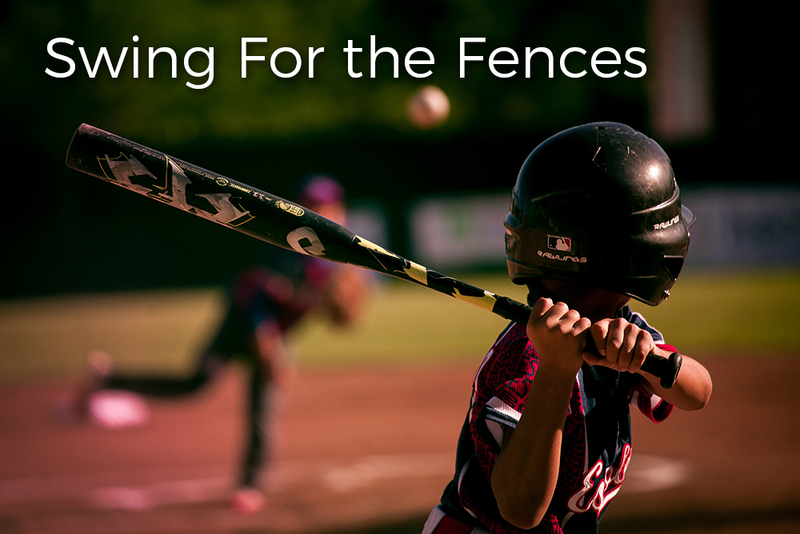 So just like a Bill McMillen or a Babe Ruth, we have wake up and decide to take a “swing for the fences” attitude every day. So go forth, and make Jesus famous!